I don’t think I quite captured the statue’s pose, did I? Traveling is serious business these days. The TSA requirements alone can give you a headache. And just when you have the 3-ounce liquid rule figured out, they tell you not to go to the bathroom for the last half hour of the flight. Oh wait. They rescinded that one, didn’t they? Better go check their website. And then there are passports (even to Canada! )…and figuring out how much the airline will charge you for your suitcase, at the same time discouraging carry-on bags…and swine flu—do I need to check the arrival board for that or is it over for this year? Even the travel planning itself can become a chore, mapping out must-see tourist destinations, prioritizing lists of activities to be checked off, calculating with precision the travel time between various points of interest to cram as much as you can into a day. Travelers – sometimes we just need to lighten up! You may not be able to do anything about TSA, but throwing away the itinerary can give you an amazing sense of freedom. Our uncontrollable laughter while touring the Toy Museum in Rothenburg (I mean really, what kid would want to play with the chimney sweep doll?) inspired my cousin Becky and I to make a spur-of-the-moment decision to bypass the turnoff toward a planned Rhine River cruise in favor of heading toward the Bread Museum in Ulm. But it wasn’t a consuming interest in the history of grain products that took us there. It was really about the spontaneity of forgetting our plan and checking out something as obscure as a museum devoted to bread. 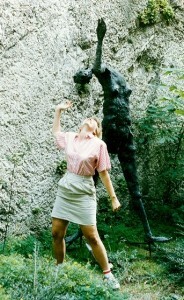 That same sort of spontaneity hit my friend Kathy and I on a trip through Europe in the 1990s. It had been a long, tiring day of dealing with Italian toll roads and lack of sufficient lira. 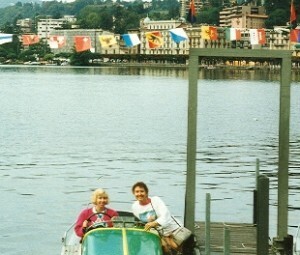 By the time we got to Lake Lugano, it was already evening and we were cranky and tired of being cooped up in the car all day. 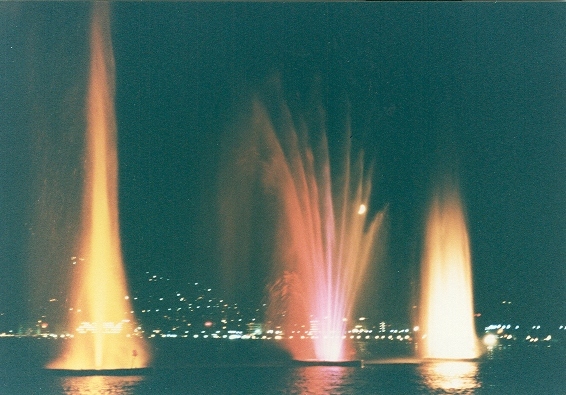 The lake was dark except for the lights on the fountains that were just off-shore, shooting skyward well above our heads. 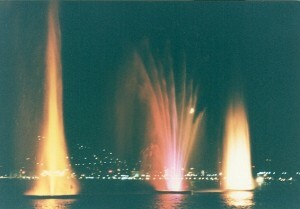 The colors shone on the water as it splashed around us and on us as we drove the pedal boat straight toward the fountain. We shrieked as the water hit us. Not enough to be unpleasant, just enough to be wet, really wet. Not just a-little-water-overhead sprinkle, but a good solid dump of water over our legs. We got into the spirit of the night, pedaling up near other boats filled with Italian strangers, splashing at them as they splashed at us. We zig-zagged our boat back and forth, dodging water and colored light. Finally we landed our boat, breathless and giggling, then wove our way from the waterfront back to a sidewalk café. I can’t remember if we ordered ice cream…or wine…or both. But I do remember sitting in that little café with our jeans soaking wet. We looked at the other adults as they strolled the streets on a Saturday night, the sophisticated Italian Beautiful People. With our soggy clothes and wind-blown damp hair, we were anything but beautiful. Normally we, too, would have sat in the café wrapped in adult sophistication, sipping our wine and discussing life or politics or at least our plans for the next day. How urbane. How adult. How responsible. Instead, we sat there giggling, our clothes damp enough to be uncomfortable in the cool night air. And somehow, being a little uncomfortable felt like part of the fun; part of the reason we felt childlike and carefree instead of adult and responsible. Throughout the rest of that trip, we made a point to find a “childish amusement” each day. 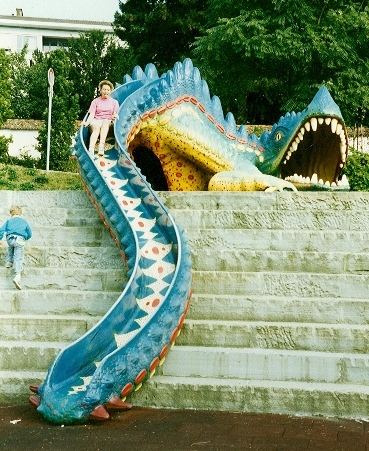 Along with our tours of castles and cathedrals and museums, our European trip included snake slides and luge rides and merry-go-rounds and posing like statues. None of these were in the guide book. Hardly 5-star attractions. They taught us nothing about the history or culture of the places we visited. But it was a great way to get our heads out of the guide books…and to lighten up.